At the Peskind Law Firm, we don’t take a one size fits all with our clients. We understand that each divorce situation is different and we work as a team to better understand what it is you need and tailor a process that fits those individual needs. Our divorce lawyers in DuPage County have a breadth of experience litigating and representing various family and divorce law issues. We implement a unique and comprehensive approach that differs from many family law firms in order to provide you with comprehensive representation. If you would like more information in regards to family law or if you are in need of a divorce lawyer in DuPage County, call us today at 630-444-0701. You can also reach us by filling out the contact form located on this page and we will get back to you as soon as possible. Our divorce lawyers utilize their years of experience in family law to work towards a resolution that benefits all parties involved. We do not believe in ranting to impress judges, but we believe in providing supportive and well-rounded services to help you navigate through the often times complex Illinois divorce laws. 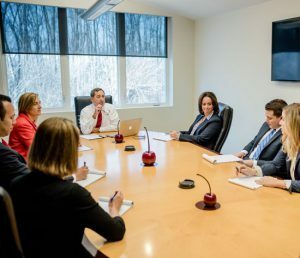 When you enlist in our services, you are not just getting one lawyer, but a team of attorneys and other experts who provide their insights in order to establish a strong case. One of the many benefits we offer that differentiates us from other family law firms is our team. We are staffed with an in-house accountant to help you with financial dealings in regards to your divorce. We also have a Certified Divorce Coach who provides assistance in coming up with realistic goals for you to achieve during and after your divorce. For more information on our family law services or if you are in need of a divorce lawyer in DuPage County, call us today at 630-444-0701. Or fill out the contact form on this page and we will respond shortly.